The Tauw project ‘N470 - creating energy’ has won a prestigious Dutch audience award (De Vernufteling), winning 40 percent of the vote. 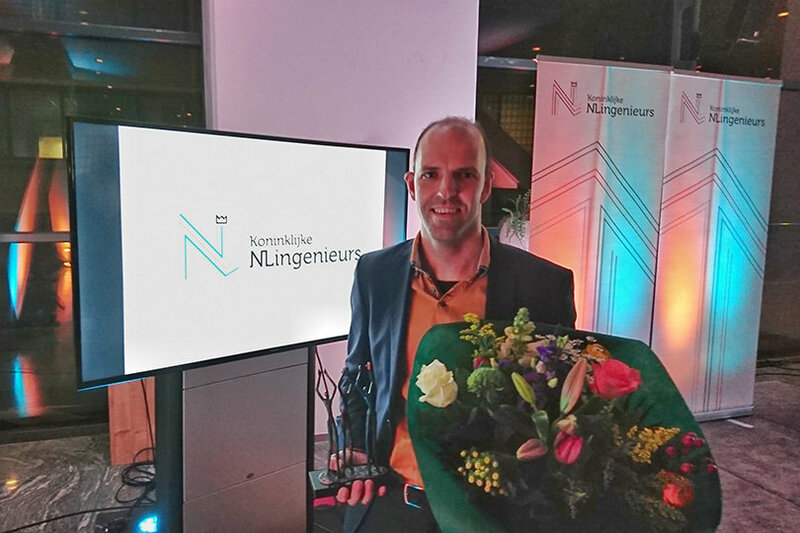 This accolade is awarded annually to the engineering firm that submits the most resourceful project by the Dutch trade association of consultancy, management and engineering firms (NLIngenieurs). When the N470 was scheduled for major maintenance, the province of Zuid-Holland jumped on the chance to experiment with innovative solutions for energy conservation and generation. The reason? Well, the province's aim is to make all its roads carbon neutral. The N470 is one of the first roads that will be treated this way; a testing ground where solutions were conceived and developed related to social areas such as climate change and energy shortages. Tauw has been closely involved in this innovative project for more than three years now; we designed the road, drew up the integrated contract, worked out the business cases for various innovations (noise barriers with solar panels, DC network, battery for energy storage, smart road lighting, traffic control systems, etc.) and supported the tendering process. It was a fantastic partnership, during which Tauw also worked closely together with knowledge institutes and businesses in the area for the development of various innovative ideas.